It’s amazing that more people don’t drop electronic devices into their bathtub, toilets, sinks, swimming pools, jacuzzis, and ocean. Americans take their mobile products with them everywhere. Oh, the stories I have heard. I’m no one to talk. A few years ago I took my iPhone and iPod into that bathroom with me when I was going to hand wash some of my clothes. Stupidly, I placed both devices on the edge of the sink while my clothes were soaking. I decided to finish my hand wash and then I would hunt again. I can’t begin to describe the horror I felt when my hands went into the soapy water and touched my electronic devices. Somehow, they fell in. My whole life flashed in front of me. I literally drowned my contacts and files. 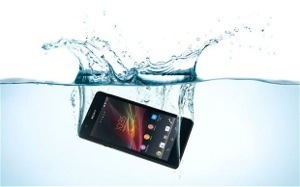 CNET story that gives by blow by blow description what you should do if your mobile products ever get submerged in water. First tip: turn all products off. No time to waste. The CNET story spells out the rest . My cousin Beth showed up at a family vacation at La Costa Resort and Spa in Carlsbad, CA with a Typo. It was the first time I actually had a chance to try the new keyboard case for the iPhone 5 and 5S. 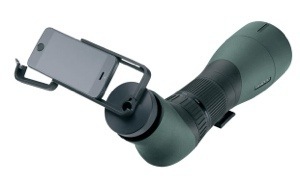 Ryan Seacrest is a major investor in Typo and has been actively marketing the iPhone accessory. Typo’s claim to fame is that it helps users type 50 per cent faster with fewer typos. Thus the name. The big draw is its touch keyboard. People love the feel of a typewriter-type keyboard. 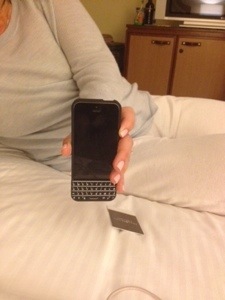 Many folks, including Beth, resisted buying an iPhone because of its flat-surface on screen keyboard. 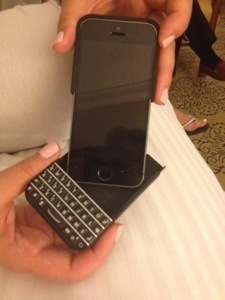 They were loyal BlackBerry users until the Typo keyboard case became available. I am not saying that everyone will instantly jump ship, but the new accessory is definitely a major attraction. Beth has been using Typo for a few weeks and is very satisfied. She says she can use both hands to type and there is plenty of room for her fingers. She gave me a great demonstration. I was even thinking of buying one until I opened the newspapers the next day and learned that BlackBerry managed to block the sale of all Typos. 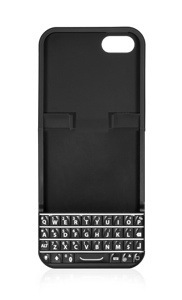 BlackBerry claims that Typo infringed on its patents. A federal judge agreed and issued a preliminary injunction. The court battle is going to get very interesting. Let’s see if Seacrest and his Hollywood buddies show up to defend the new case. Beth, hold on to your Typo. It may become a valuable collectible. If you watch the above video, you will get to see what virtual reality looks like. I know many of you have heard of virtual reality before but do not know exactly what it means. According to Wikipedia, “Virtual reality (VR) is a computer-generated environment that can simulate physical presence in places in the real world or imagined worlds.” Many video game companies are totally involved in virtual reality. I thought it would be interesting for you to understand virtual reality, now that Facebook just bought The Oculus Rift, virtual reality head-mounted display company, for $400 million in cash, $1.6 billion in Facebook stock. This was actually Joan’s second appearance. She also participated in Fallon’s very first show along with a parade of celebrities who stopped by to wish him well. That marked the first time that Joan had been on the “Tonight Show” in nearly 30 years. Johnny Carson put the kibosh on Joan after she agreed to host another late night show on a competing network. Joan used her appearance to let the world know that at 80 she no longer cares what people think of her. She always said what was on her mind and now she is going for the jugular. Joan was pretty raunchy and offensive on the show so consider yourself forewarned. The reason I wanted to share it with you is because at 80 she is still slugging away. To most of her audiences and co-workers, Joan is ageless. Yes, they know that she is older, but they do not consider her old. She has two million Twitter followers, a half a million Facebook friends, and is making great headway on Instagram and YouTube. Joan knows all about social media, handles her own posts, and was one of the first to have a comedy show on the Internet. Let’s not forget about her TV reality show and Fashion Police. I think it is safe to say that 80 is the new 60 in Joan’s case. Let that be an inspiration to all of us. I always had the itch to be an investigative reporter. I love looking for stories, getting scoops, and reporting the facts. I wish someone would give me an assignment. 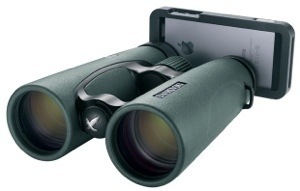 I really got the urge to do some reporting when I learned that Swarovski Optik, a maker of binoculars and bird-spotting scopes, just introduced a $145 adapter that turns an iPhone 5 and 5S into a camera with either spotting scopes or binoculars. The adapter is pretty easy to use. Once you actually use it, you will wonder why we didn’t have this handy gadget before. CNET explains how the adapter works and what quality of photos to expect. Experience tells me that the quality of photos will be terrific once we get the hang of it. I think I’m one of the few people who loves living in a hotel. I could live in a hotel for the rest of my days. I love being able to go to the reception area and have people take care of all of my needs. I find that when I am in a hotel, I sleep better, my energy level is up, and it’s easier to combine work and play. The only thing that pisses me off is if a hotel charges for Internet in guest rooms. Common space is always free. Wi-Fi is free in most of the hotel guest rooms in Europe and in Asia. I have stayed in plenty of business hotels, (euphemism for dumps) out-of-the country, and none of them ever charged extra for the Internet. America is another story. I think most of the finer hotels now provide free Wi-Fi throughout their premises. I’m now going to crusade every hotel in the United States to do the same. Let me know if there is a hotel you want me to go after. I have my ways. I think as you get older, the people who work in hotels treat you better. Eliot and I must look like Ma and Pa Kettle because everyone is very solicitous. The crazy thing is that I don’t mind it a bit. This morning when we were checking out of the La Valencia in La Jolla, a bellman told me that a 100 year old woman has been residing at the hotel for over a decade. Her husband stipulated in his will that she can stay for as long as she wants to. He made all the provisions for her. I became instantly envious. The centenarian was doing it her way. She has an aide who lives with her and has all of the meals delivered to her room. She basically turned this fabulous hotel into her own private assistant living facility. And the pièce de résistance is that the Internet is free. Touché! 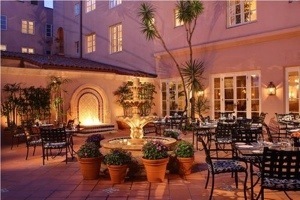 So here we are in the village of La Jolla, CA, at the La Valencia Hotel. Our hotel is pretty swanky but I really love it because it offers free Wi-Fi for the many devices that I drag everywhere with me. 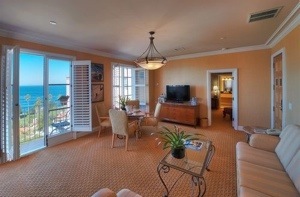 We stayed here before but this time we requested a full ocean view so I could hear the waves breaking. They tried to slip us a corner view but this New Yorker just kept insisting on the particular spot I knew I wanted. They were actually very accommodating. This morning we woke up to Jonathan Living Seagull on the balcony of our room. He was a few feet from my bed. Just beyond him you can see the palm trees and then the ocean. I made a YouTube video of this little creature because the little steps he took on the railing represented what Eliot, Whitney, and I wanted to do for the day–walk. We actually did more than six miles on the boardwalk in Mission Beach alongside the Pacific Ocean. My Fitbit registered 16,000 steps. It was very exhilarating. We could have walked longer but we had errands to take care of. I am back in our room now watching the waves again. The French doors are open and a nice breeze is blowing through, No snow. No humidity. No worries . A friend of mine recently asked me if I forget things all the time. I get that question from a lot of my friends over 60. Everyone is afraid of losing his or her mind. If you want to keep your brain active and alert, try one of these. Huffington Post covered some of these apps in a roundup story about giving your brain a good workout. Luminosity gives your brain a workout. The games featured in this app enhance various aspects of your cognition. This is very important for people of all ages because brain games can help improve memory, attention and other mental skills. Don’t worry about keeping up. The games are tailored to fit your goals. Play the games whenever you have a break. The app is free, and full subscriptions run from $14.99 for one month to $79.99 for one year. A small price to pay for making sure everything upstairs is functioning the best it can. Huffington Post owns this one. The blog site has been focusing on stress reduction for the last several years, especially for their employees. They claim “controlling your stress levels is step one in increasing attention and efficiency.” GPS for the Soul app (free), helps you detect your stress levels and get back on track when you’re feeling overwhelmed. The app creates personalized “GPS Guides” and offers calming quotes, images and music to totally relax you. According to the creators of Pomodoro, taking real breaks during the day can be a good way to fight distractions and get things done faster. I’m all for that. The Pomodoro method breaks activities down into 25-minute time allotments. Those are called “Pomodoros.” You set a timer. After each 25-minute period, a three to five minute break is taken, followed by another pomodoro. After the fourth Pomodoro, a 15-30 minute break is taken. All this is supposed to help you focus and get more done. Pomodoro boasts that this is for folks who have time management issues. They call the Headspace 10-day starter program “meditation for dummies.” The app’s short animated videos break down the basic principles of meditation. Just find a comfortable place for yourself, press play, and you be taught to medicate. The app is free but you have to spend $10 a month to get hundreds of videos and recordings. Did you ever hear of mind mapping? It reportedly creates a visual representation of your thoughts. It also illustrates an idea in a way that feels intuitive. MindNode says it helps you to generate ideas by organizing projects and concepts in a colorful graphic design. Try it . I will too. I want to see the app’s “pictorial networks mirror the way our brains work.” MindNode said we will be able to spot connections and insert new ideas.” Maybe we will figure out a way to live on our own longer. Just a thought. When I was on a business call last Friday, my client told me he would soon be vacationing in Istanbul. Normally I would be pleased for him. This time I got very uncomfortable. You may have read about this already but for those of you who don’t know, the country of Turkey has put a ban on Twitter. A number of government leaders want to shut it down because the social media platform is supposedly reporting on political corruptions. Officials in Turkey recently said they were in talks with Twitter about appointing a representative in Turkey that would help to block specific content when requested by Turkish courts. Twitter hadn’t commented on this yet. Reuters reported that “Tech-savvy Turks quickly found ways to circumvent the ban, with the hashtag #TwitterisblockedinTurkey among the top trending globally on Friday. “Twitter users called the move a ‘digital coup,’ some comparing Turkey to Iran and North Korea, where social media platforms are tightly controlled. There were also calls for protests. Mashable, the tech site, explains how Twitter users in Turkey are circumventing the ban. Here are some recent tweets about the situation in Turkey. twitter is blocked in turkey, therefore I can no longer study abroad in Turkey. Twitter blocked in Turkey after content related to government corruption scandal is posted. Twittet in turkey is being blocked cuz of the president im connecting from england to twitter. 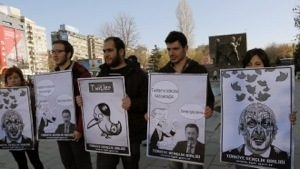 Is Twitter genuinely blocked in Turkey? If so, this is shameful and scary. I hate it when the person sitting next to the window pulls down the shade while we are flying. I want to see what is going on outside, especially when we hit the slightest bit of turbulence. I don’t think the person in the window seat has the right to decide if the entire row flies with the shade up or down. You are probably asking yourself why I just don’t sit next to the window? I would but I feel too claustrophobic. 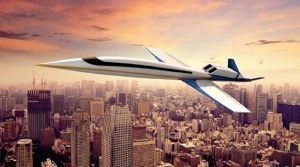 I started to wonder if most people feel like like I do when I heard that Spike Aerospace, a private airline, is launching a windowless supersonic business jet that will feature video displays rather than windows. Spike thinks its new idea is going to be a big draw. The airline is going to have an array of cameras outside the aircraft that will send a live video feed to the interior wall screens. Passengers will feel like they are riding right on top of clouds. Spike has acknowledged that there are people like me who would be uncomfortable with this innovation, but they feel many others will jump at the chance to get a never-before-possible window-seat view of the clouds. I hope those folks enjoy the ride. It’s not for me.